An 11-year-old girl admitted assaulting a baby boy, leading to his death this week, Prince George's County police said. 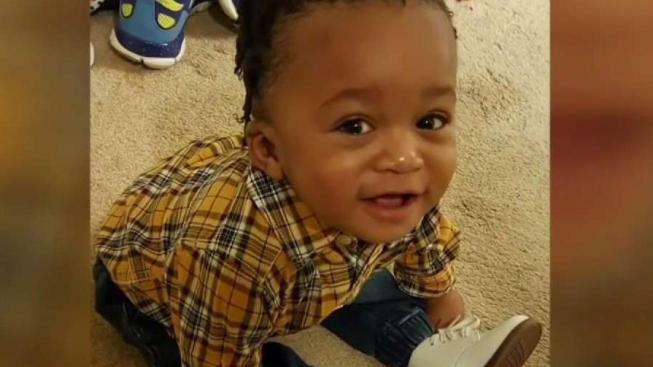 Paxton Davis was in the care of the girl's family Sunday morning when the girl's mother ran an errand, leaving the 1-year-old boy alone with the girl in her Suitland, Maryland, home, police said. When an adult returned to the home, they called 911. Paxton suffered severe upper body injuries and was taken to Children's National, where he was taken off life support Thursday afternoon. “I got in the room for a second by myself," Paxton's mother said, "and I talked to him and I said, ‘Baby, you don’t have to fight no more. You don’t have to fight for Mommy no more. I’m at peace. I know you wasn’t here forever. God gave you to me to borrow. It would be selfish to leave you on life support.'" Paxton's family, who had just celebrated his first birthday on Feb. 8, said they initially were told Paxton fell. But police determined the child had been assaulted. “It was clear from the beginning that the injuries Paxton suffered were not consistent with the normal play of a 1-year-old,” Prince George’s County police Maj. Brian Reilly said. The girl admitted to assaulting Paxton, police said. She was charged as a juvenile with first-degree child abuse and was taken to a juvenile facility. “In my time, I’m not aware of somebody this young being charged with this serious of an offense out of our homicide unit,” Reilly said. Police didn't name the girl. She had never cared for the baby before, though Paxton had spent time at the home before, as his mother was a friend of the family, police said. Paxton had been left with the family Saturday night. The motive for the assault is under investigation. “I don’t know what motive there would be in a situation like this, for an 11-year-old to intentionally inflict injuries on a 1-year-old,” Reilly said. Under Maryland law, a child cannot be left unattended without proper supervision by a reliable person at least 13 years of age. Police said in a statement that any further charges would be determined in consultation with the State's Attorney's Office. Paxton’s mother said she believes the girl’s mother should be charged. A memorial fund has been created for Paxton.